Vision Bedding can outfit your windows with personalized curtains to coordinate with any room decor. Blue window curtains are a favorite theme, and they are available in thousands of blue patterns, hues, and traditional and custom cuts. The background shades can be altered to match themes, or you can add your photo, have an object removed, or design a repeating pattern. One way to accent a room is to select unique blue themed designs, such as the tropical beach pattern, which displays a relaxing view of a sandy beach and rolling waves. The blue and white swooped sheer curtains can make a room feel bright. Some other ways to add style to any room is to mix and match colors to offset or complement the blues. To achieve a tri-colored effect use blue window curtains, yellow pillows, and a red rug, or if you want a calming neutral feel, hang blue drapes and accent with soft-grey pieces. 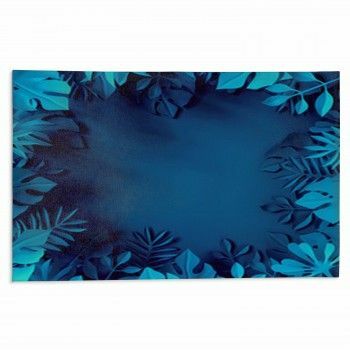 Blue is a versatile shade that can create feelings of warmth, airiness, or mystery. To show bold style, try the 3D window curtains. The blue block design appears like a wall of sapphire and indigo bricks. 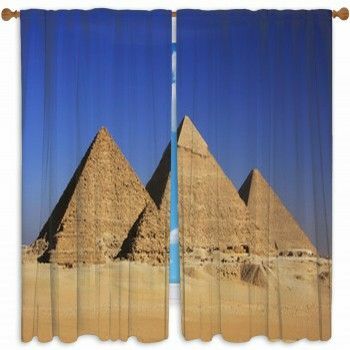 Parents and children will appreciate the United States map or world map 3D curtains. Some architectural themed 3D prints include buildings that run the length of the drapes, corridors that appear to leave the room, and spheres looking like large globes. 3D custom size curtains can be cut to fit any window or frame. A tip on how you can personalize any of the drapes is to change some or all of the design to another shade of blue. For example, you can take a dark blue background and make it sky blue, or you can change an abstract shape from blue to green. In addition to changing the colors, logoed, texted, or monogrammed curtains can be created for no extra charge. For an extraordinary piece, submit your photo and have a blue curtain created. Use memorable vacation pictures, family photos, or favorite locations. All of these blue styles can be made in one or two panel curtains. One panel curtains are solid drapes, and two panels have a split evenly down the center so the drapes can be parted. Panels can be crafted to any size whether it is for a tiny house or an entire wall of windows. Custom blue curtains are not limited to homes. There are hundreds of designs that can be customized for businesses. Some commercial applications are medical or legal offices, classrooms, and theaters. Every space is going to need its own type of fabric for curtains or drapes, which actually refer to the same window treatment. The variations are 100% block out window curtains, premium-grade microsuede, or sheer polyester. Bedrooms can be suited up with black out curtains, which keep out all forms of light including sunlight, streetlights, and city lights. Other manufacturers use material that only blocks about 50-75% of light depending on color and design. Blue curtains in a bedroom can be paired with matching bedding too. Some blue bedroom designs to consider are evening stars or event curtains, which look like heavy theater drapes. Living spaces feel inviting with two panel blue curtains that open during the day but close neatly at night. Matching blue pillows and a throw rug can bring together a living room. Some living room drape ideas are classic or shiny blue. Bathrooms often have small windows, and a blue custom size valance can give enough coverage and privacy while adding style. Try adding one of our matching shower curtains. The fabrics are resistant to mildew. Custom drapes, shower curtains, and bath rug make for a one-of-a-kind powder room. Kitchen windows topped with blue valances and matching drapes in the eating area make for a finished appearance. Valences cover multiple panes or a small garden window. Country kitchens can be brightened with the yellow and blue hydrangeas and daisies design.